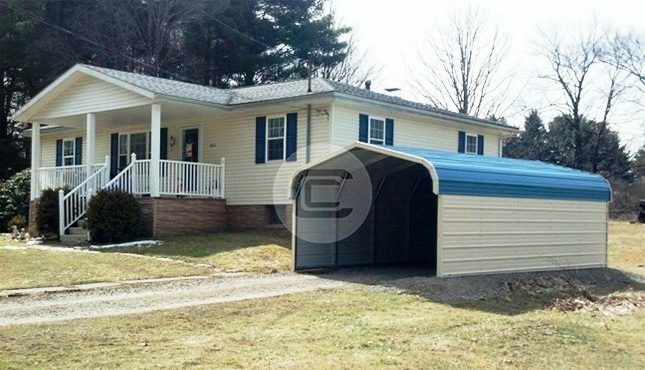 The 12’W x 25’L x 6’H regular style carport features enclosed sides and one enclosed end. This structure is great for sheltering vehicles or outdoor equipment as well as additional storage. If you are interested in this building or have questions, feel free to give us a call at (980) 321-9898 for assistance! Don’t forget, we do not provide concrete or groundwork and your site must be level before the installation day.